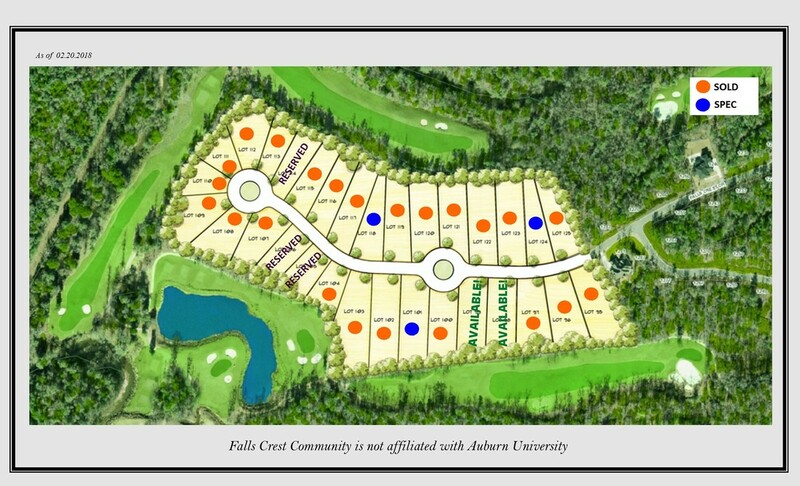 Falls Crest at Auburn University Club features 31 premium golf course lots nestled among among the rolling fairways and greens of the Auburn University Golf Club - home to the Auburn University Men's and Women's golf teams. Each lot in Falls Crest backs up to the championship course, providing exceptional levels of privacy. New homes are available on several lots in Falls Crest, Interested buyers should visit our floor plan page for additional information and contact information to arrange a personal tour and consultation. Lot inventory is limited. Contact Berkshire Hathaway HomeServices today for best lot selection.